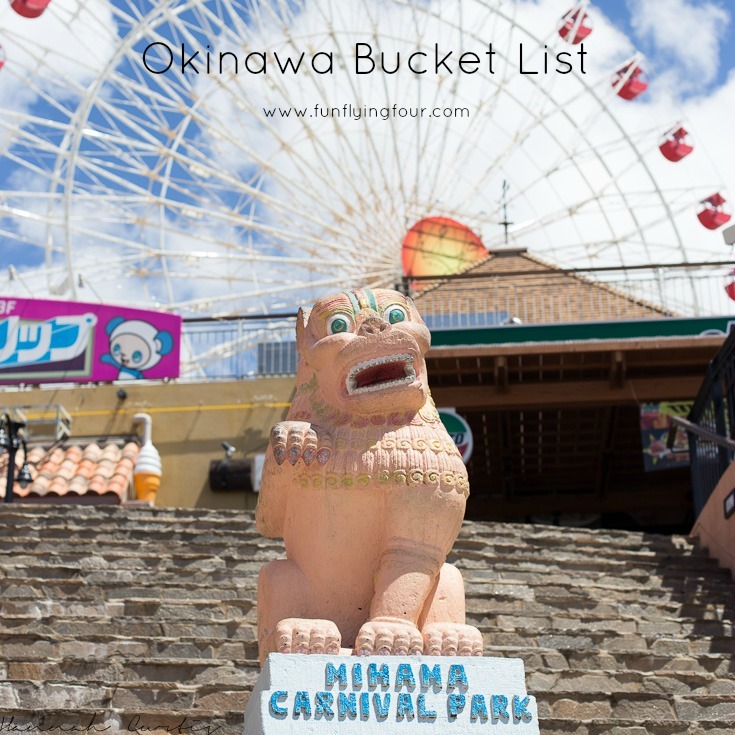 I am so excited to find such a great blog all about Okinawa! I’m looking forward to following your time here! We just moved out here in October and are putting together a bucket list of our own. Planning to use your for inspiration! Welcome to Okinawa! We have been here for 17 months now and time is just flying!! I cant wait to check out your blog too! If you see something that should be on my list please let me know…i really dont want to miss out on anything! It seems like you guys have done a lot! I really hope you visit Tokashiki! It’s my favorite outer island! We definitely plan on getting to some of the other islands! anything you think I should add to the list?! Wow! Y’all sure have done a lot. I need to create a bucket list. Definitely using yours as a guide! I have so many more things to add to it but I panic when I see too many things not crossed off, so waiting until I have crossed a few more things off before adding those! There is just so much to do on this tiny island! Your list looks very much like mine! There is so much to see on this island. I know Vanessa just so much to do! Let me know if you ever want to get out adventuring!